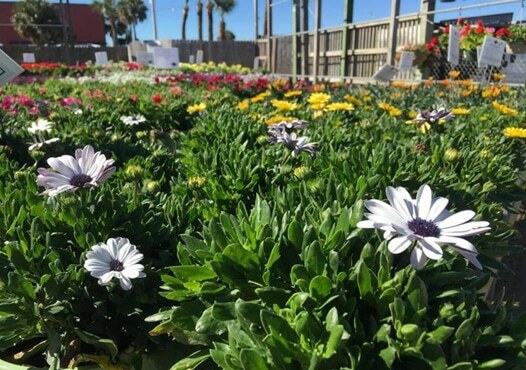 February Gardening in the Greater Jacksonville Beaches area! It’s already time to start thinking about spring and warm-season gardening! Don’t jump the gun and plant warm season crops too early though if we get some heat in February. Now is the time to prepare beds and continue starting seeds for planting out after the last expected frost (about mid-March). It’s also a good time to plan other areas of your landscape. Contact us to inquire about a landscape consultation to develop any size project, whether we create a complete master plan or you simply need guidance on your next DIY project. Annuals (Or Grown As Annuals): These are still good bedding plant choices for our cold season: supertunias and petunias, alyssum (Lobularia), marigolds (Calendula), snapdragons, dianthus, lobelia, ornamental cabbage/kale, giant red mustard, nemesia, diascia, dusty miller, verbena, gazania, geraniums, nasturtiums, pansy and viola. Try to provide at least 4 hours of full sun. Let us put together a container of colorful winter flowers, grasses and ornamental vegetables for you. Not as many perennials will be flowering this time of year but some established plants which may be flowering are soap aloe, jacobinia, bleeding heart vine, asters, salvia and dune sunflower. Most perennial types can be planted now except for cold-tender plants which can often survive our winters but shouldn’t be started at this time. See our handout titled Tropic Life to identify those tender plants. CLICK HERE! Many bulbs can be planted at this time also, particularly crinum, caladium, canna, agapanthus, kaffir and spider lily. Amaryllis bulbs purchased during the holidays can be set out in the landscape See our handout on Amaryllis care for more information. CLICK HERE! Perennials which can be grown as annuals at this time of year (they don’t like the hotter months or are too particular about seasonal wet weather) include foxglove, hollyhock, hellebore, daphne, dahlias and delphinium. Some will be blooming now. Since they wouldn’t be established plants however, most should still probably be protected from freezes. Trees and Shrubs: Plant trees and shrubs now rather than waiting until spring, so they can establish roots for a quicker start and handle the stress of summer better. January and February are the best months to plant deciduous fruit trees, shrubs and muscadine grapes, especially while you are planning and preparing for your spring culinary garden. We are growing some exciting edible shrubs and perennials to complement your Grow Your Own gardening. Blueberry ‘Misty’ and ‘Jewel’, Blackberry ‘Nantahala’, Raspberry ‘Natchez’, Black Mission Fig, culinary ginger, and eventually ‘Southern Jewel’ grape, goji berry and turmeric will be available. Early-season varieties of azaleas will begin blooming this month as well as japonica camellias, so if you purchase now you can be sure to get the bloom type and color you want. See our Camellia Variety List for descriptions of the many cultivars we have available. CLICK HERE! Vegetables and Herbs: Continue growing cool season vegetables such as mustard greens, kale, beets, kohlrabi, cabbage, Chinese cabbage, cauliflower, broccoli, collards, celery, endive, English peas and leeks. Root crops like carrots, radishes and turnips should be started from seed in the garden so they don’t have to be transplanted. Irish potatoes can be started from healthy seed pieces. Bunching onions can be planted. Lettuce can be grown this month but it’s one of the first crops to bolt (produce a flower stalk which causes the leaves to be bitter) so this is probably the last planting month for it until fall. See our handout Vegetable Planting Guide for North Florida for vegetable growing information. CLICK HERE! Most herbs do best in the cooler months. Herbs to grow now are dill, cilantro, parsley, garden sage, thyme, mint, chives, and rosemary. See our handout Herbs for North Florida, for growing and usage information for many of the herbs. CLICK HERE! Also available this month will be a more in-depth planting guide for herbs. 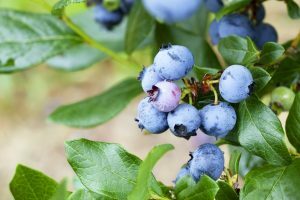 Southern Highbush blueberries are hybrids which combine the fruit quality of the Northern Highbush with the tolerance for heat and the lower (milder) chill requirement of Rabbiteye blueberries. ‘Misty’ requires only 300 hours of temperatures below 45° during November through February to induce flowering and therefore produce fruit. In comparison, some Northern Highbush blueberries require up to 900 hours. Even though it’s a good variety for southern climates, it is also quite cold hardy. Evergreen in mild winters, its foliage turns brilliant red before leaf fall in colder climates. It is listed as self-pollinating, but yields are usually better when grown with another early season blueberry. ‘Misty’ produces an abundance of firm, very sweet fruit in summer. If you have sandy soil, enrich it with ¼ to ½ cu ft of sphagnum peat moss mixed into the hole, and place the plant, keeping the trunk/stem at the same soil level as before. The preferred pH is acidic – 4.5 to 5.5. Form the top of the planting hole so that irrigation water is directed toward the plant and mulch with 3″ pine bark. 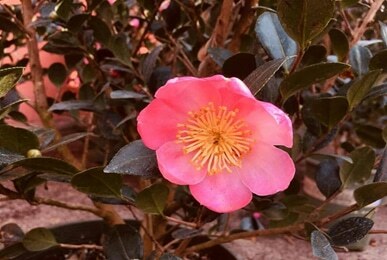 After a few weeks, the plant can start receiving light fertilizer applications with an acid lover’s fertilizer such as azalea or camellia food. Note, however, that more damage can be done from over-fertilizing than from a lack of fertilization. In the first year of growth, water deeply and regularly and remove all flowers so energy is directed to establishing a strong plant rather than fruit. In subsequent years before new growth begins in spring, trim the smaller twiggy branches to control overproduction of berries. Irrigate: Adjust your irrigation schedule based on rainfall. If you need to water, follow the regulations with odd numbered addresses watering on Saturdays, even on Sundays, and nonresidential on Tuesdays, outside the hours of 10 am to 4pm. New plantings can be watered more frequently and should receive supplemental water for 4 to 5 months after planting to establish strong roots. Mow: Mow to shred small amounts of leaves and pine straw, allowing them to decompose on the lawn. If leaf fall is significant, bag for composting. Never remove more than 1/3 of the leaf blade at a time. Prune: February is a big month for pruning. Continue to deadhead old blooms on annuals. Prune to improve form on summer flowering shrubs and trees before spring growth starts as these mostly flower from new wood. Avoid pruning spring flowering shrubs and trees including azalea, dogwood, redbud, Japanese magnolia, spiraea and loropetalum. Prune deciduous fruit trees to open and thin the canopy and remove crossing and rubbing branches. Generally, young trees should be trained or pruned to a central leader by eliminating branches that compete with it. Trees allowed to develop with more than one leader are potentially weaker with age. Remove dead fronds and old flowering parts from palms. Prune small roses like Drifts down to 10-12″ and Knock-outs to 12-18″. Reduce the crowns of standard roses by up to ¾ of their size. Trim Asiatic jasmine before spring growth starts, to make a denser cover, and ornamental grasses to 1-2′ from the ground. Avoid topping crape myrtles. These trees should be pruned to improve their form by removing excess growth in the interior, and eliminating crossing and rubbing branches, seed pods and any suckers. Remove entire branches and don’t leave stubs. Prune grapes if not done in January. Refrain from trimming any tropicals yet, even if they have damage from a frost or freeze. See our handout “Helping Your Plants after a Freeze”. CLICK HERE! It’s a good idea to sterilize your pruning tools with a disinfectant, between plants. Although a chlorine solution is often recommended, bleach is corrosive to metals and pitted pruners will harbor more microbes that the disinfectant can’t reach. Bleach remaining on the pruners is also damaging to plant tissue. Use Lysol instead – it is minimally corrosive and extremely effective against pathogens. 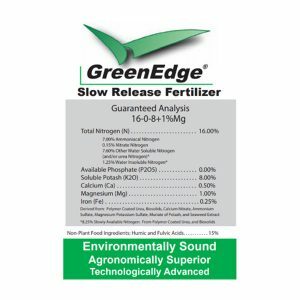 Fertilize: Herbs and vegetables will benefit from a slow/continuous release organic fertilizer applied every 3 to 4 weeks. 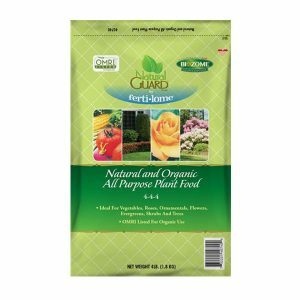 Annuals and perennials can receive a 15-0-15 formula fertilizer every 4-6 weeks. Fertilize fruit trees about mid-February with a 6-6-6 or 8-8-8 formula. 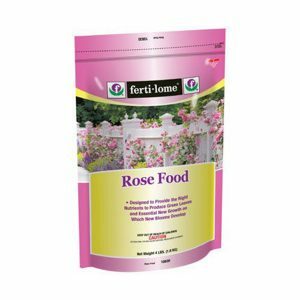 Fertilize young ornamental plants in mid-February with 16-0-16 fertilizer or an appropriate specialty fertilizer such as for azaleas. Roses can be fertilized in schedule with their pruning with a slow release or liquid fertilizer. 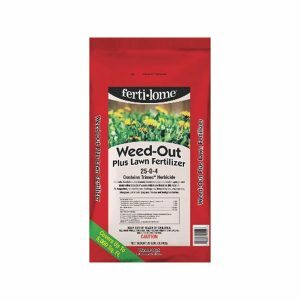 Control Weeds: Use post-emergent herbicides such as Fertilome Weedout (without fertilizer) when temperatures are above 65°or Fertilome Weed Free Zone down to 45°. A product with Atrazine can also be used at lower temperatures. 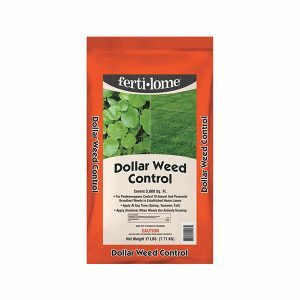 Weed kill is generally very slow at less than 60°.Fertilome Selective is useful for spot treatment.Dollar Weed Control helps battle Dollar weed at warmer winter temperatures, but also make sure you’re not overwatering your lawn and creating conditions favorable for this weed. A product with 2,4-D can be used on St. Augustinegrass if grass is dormant. 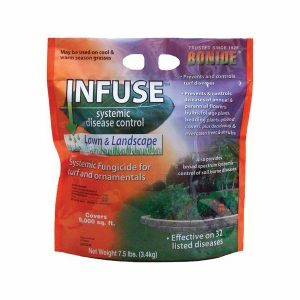 Choose an herbicide that lists your lawn type on the label. To limit warm-season weeds in lawns, apply a pre-emergent herbicide when temperatures are above 65°for 4-5 days. 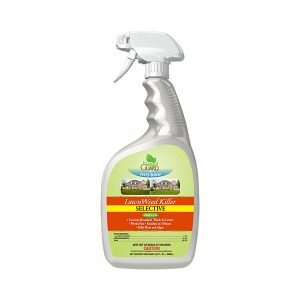 Monitor and Control Insects and Disease: Continue to monitor pests and disease on houseplants, lawns and gardens. 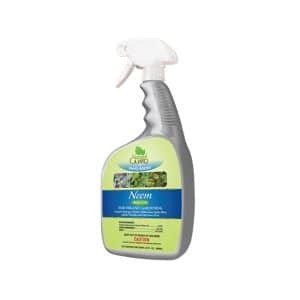 A dose of insecticidal soap or Neem Oil (combats insects, mites and fungus) may be needed on house plants. Excessive rains have led to a lengthy season of fungal issues. Large Patch can be a problem in lawns fall through spring in these conditions. Bonide Infuse Systemic Disease Control can reduce symptoms. Frequently scout the vegetable garden as insects are easier to control when first noticed. 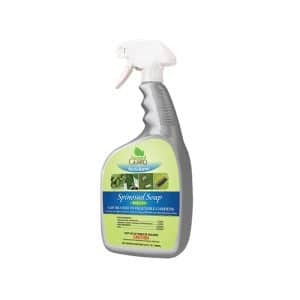 Horticultural soap sprays will control many soft-bodied insect pests, and a product such as Dipel Dust with Bt (Bacillus thunbergiensis) is useful against caterpillars. 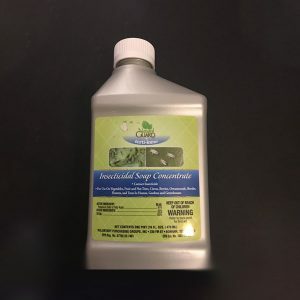 Spinosad is particularly effective on caterpillars and thrips (also leafminers, spider mites, mosquitoes, ants and fruit flies) and lasts up to 4 weeks. 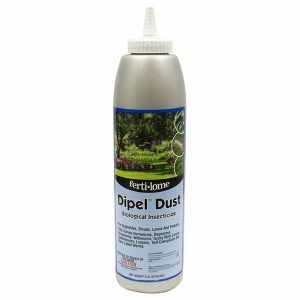 Additionally, it is safe for people, beneficial insects and adult butterflies, and safe for bees once it has dried. Apply horticultural oil to citrus, shrubs, camellias and deciduous fruit trees while plants are dormant, to control scale. 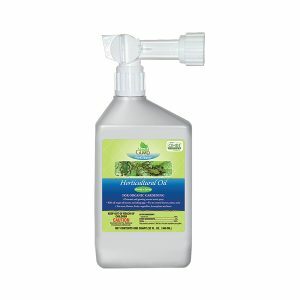 Many insect problems require a combination of pest management products and techniques. Rockaway has products specifically for all these problems, including products safe to use for your vegetable garden. Harvest: Continue to harvest citrus as it ripens. Harvest herbs and cool season vegetables frequently to encourage new growth and production. Plan and Prepare for your Spring Warm Season Garden: Choose the crops you want to grow. If you want to grow any from seed, these should be started indoors to transplant out in mid-March when the danger of frost has passed. Most vegetables need to grow about 6 weeks before transplanting to the garden. See the end of this newsletter for instructions on planning your garden bed and starting seeds indoors. Prevent Cold Damage: One way to avoid some cold damage is to refrain from a complete landscape clean up until spring growth begins. Leaving spent vegetation, ornamental grasses and other perennials until spring provides insulation for the plant and others around it (not to mention more homes for wildlife and beneficial insects). Overhead cover from overhangs, porches and even taller plants can be enough protection for marginal plants,especially with extra heat radiating from a building. On a small scale, even a fan can stir up the air enough to mix the higher, warmer air with the colder air near the ground. Moving air is less likely to allow frost to form on foliage. Since cold air settles on flat surfaces parallel to the ground, it may help to bundle up large leaves so that they are either pointing up or down. Group pots together and wrap a blanket or freeze cloth around their base. Freeze cloths need to extend over the ground to catch the heat retained there. If the cloth is thrown over a plant, a string of Christmas lights under the cover can make a difference too. Make sure your evergreens have adequate moisture in winter as they can be desiccated by cold winds. 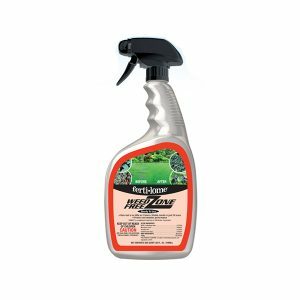 An application of a dormant oil on broadleaf evergreens will not only control scale insects and mites but will also lessen moisture loss through leaves. Harvest citrus if temperatures will be 28° for 4 or more hours, unless the fruit is not ripe. If a severe freeze is predicted, protect citrus trees by banking clean sand around the trunk just above the graft union. If plant damage occurs, refer to our handout Helping Your Plants After a Freeze. CLICK HERE! Starting a couple feet from the trunk, cut a notch at least ¼ of the way through the bottom of the limb. Make the second cut just outside the notch and all the way through, to remove the weight of the branch. Correctly done, this last cut allows the tree to properly heal itself. It should be made just outside the collar (the slightly swollen area where trunk meets limb and trunk bark usually transitions to smoother branch bark). The collar produces the cells which eventually heal over the wound. Healing progresses from the outside of the cut inward so before a cut has totally healed, it will look like a donut shape surrounding the wound. If the branch is cut too long, it will interfere with the healing process as it won’t be able to close over the wound. Cutting too short (flush with the trunk), into the collar, will destroy the structure that creates the scar tissue and can severely damage the trunk and tree. The correct cut is just outside the collar. Victory Gardens had their beginnings during the World Wars when citizens were encouraged to grow their own food. This way, more manufactured and farmland food could be sent overseas to support the troops. Fortunately today, more families are beginning to grow their own fruits and vegetables for a different reason. It gives us more choices as to the many varieties available including heirloom plants that have special attributes. Growing your own can also be cheaper. Fresh food is not only tastier but contains more vitamins and nutrients the sooner it is consumed. You’re not eating foods out of season that have been artificially ripened. There is less chance for contamination. Also, having control over how your food is grown means you know more about what has gone into it, especially if you grow organically. In the bigger picture, it is better for our environment as it cuts down on the carbon footprint we leave from transporting produce. It’s definitely still a winning practice today. You may already have a productive cool season garden and just need to decide which warm season crops you’ll grow and where. It’s helpful to record the varieties you grew and include any notes you want to remember the following season. It’s also important to rotate crops from year to year to increase soil fertility and break the life cycle of disease organisms and pests. Our handout “Planting Guide for North Florida Vegetables” CLICK HERE! can help you plan your crops. Use the Plant Family column so you can avoid successively planting vegetables from the same family. Probably the most productive and attractive way to grow a garden, especially in our area where soils lack nutrients and good texture, is to create raised beds. There are many advantages to a raised bed, and one of the biggest is that it doesn’t involve tilling. Tilling has become less popular in the home garden – it contributes to top soil loss, can increase weeds by bring seed up where they will germinate, and destroys the structure of the soil and the beneficial organisms living there. Many sites describe how to build a raised bed (for example, the UF document ENH1211). They can be built any size but limiting them to 4′ wide allows you to reach from both sides without walking into the bed. Raised planters complement square foot gardening, first proposed by Mel Bartholomew, which has become a popular and efficient way to garden. If you don’t already have a garden location, choose the sunniest site on your property. Account for any deciduous trees that may block light once they leaf out. Easy access to the kitchen is a plus. If the land has some slope and you garden in rows, align the rows perpendicular to the slope to decrease runoff. Otherwise align them east to west for best sun exposure. Also keep in mind that taller plants like okra, or trellised plants should be located where they won’t block the sun from shorter plants. Some crops can get by with a little less sun than others so if you have some shadier spots in your garden, refer again to the Planting Guide for North Florida Vegetables CLICK HERE! to see the approximate sun needs for various plants. Once you’ve located your garden, if you’ve built raised beds, it’s time to create your soil mix. A 1-1-1 mix (by volume) of compost, peat moss and vermiculite makes the perfect soil. If you don’t have your own garden compost, then combine different kinds of store compost to ensure you’re putting a variety of nutrients into the mix. When the planters are filled, mark off 1′ by 1′ squares with a sturdy grid. One-inch-wide strips of wood lath work well for this and give you a constant point of reference for spacing your plants correctly. Refer to our Planting Guide for North Florida Vegetables for suggested number of plants per square foot, for both transplants and seeds. Before planting, spray the soil to moisten it thoroughly. Seed packets will list the sowing depth, but generally seeds are planted at a depth about equal to their size or a little deeper. Position trellises as you plant transplants (see our article on How to Make Trellises). CLICK HERE! Lightly water your new plants or seeds in and keep moist. With the right soil mix in the garden, fertilizer is less necessary, as nutrients are added when additional compost is refreshed at the end of the season. Keep your beds tidy and watered. A serpentine soaker hose run through the bed beneath the soil surface is an efficient, water-wise practice. Hand watering can supplement the irrigation regulated by the SJRWMD. Check on your garden daily and harvest often. Growing plants from seeds indoors takes minimal supplies – a container, lightweight seed starting medium, seeds and a light source. Trays with transparent covers are also handy to keep soil moist until plants are about 2-3″ tall. A spray bottle can be used to water the containers without displacing the soil. You can use a variety of containers from paper cups with drain holes to plastic cell packs which have dividers for multiple plants. If you’re growing many plants, its best to use something that will hold up a while and fit nicely with multiple pots in a tray. Since they can be planted right into the ground where they decompose, peat pots are great for growing crops that don’t like to be disrupted once they start growing. If you want to be ready to plant outdoors as soon as its safe for the plants, you’ll want to start your seeds about 6 weeks before the last expected frost date. The first of February could be your start date in North Florida. This is approximate as crops take different amounts of time to germinate or grow to a size strong enough to transplant. You should also work in some days to harden off the seedling. Label your containers with the variety planted and the planting date. Keep your planted seeds warm to speed germination. A heat mat can be used but that can also cause the containers to dry too quickly. It is the water that starts the germination process and once the seed starts taking it in and growing, it can’t go on hold again to grow later – disruption in moisture will kill the seed. Although most seeds don’t need light to germinate, a clear cover will help retain the moisture and allow light to reach the plant once it has germinated. Light can be supplied by a full spectrum artificial source a few inches above the plants if sunlight is not available. Once the seedlings start to emerge, the tray should be positioned to allow a little air flow. The first set of leaves to emerge are called cotyledons. Up to this point all the energy for the plant has come from the seed. The second set of leaves are true leaves, capable of photosynthesis. When they emerge, you can remove the cover and begin watering with a dilute liquid fertilizer weekly. When all danger of frost has passed, your warm season seedlings can start the hardening off process by gradually introducing them to outdoor conditions and sun exposure. On the first day put them in a sheltered spot with no sun for 3 or 4 hours then bring them back inside. Add 2 or 3 hours each day to their time outside, bringing them back in at night. After 2 or 3 days put them in morning sun for the first part of the day, move into the shade in the afternoon and bring them in at night. After 7 days the seedlings should be able to stay outside all day in the sun but remember they can dry easily in their small containers. Leave them out at night if the temperature stays above 50°. They can be planted in the garden after 7-10 days. Try not to plant at the sunniest time of day and water them in well. Now they’re part of your garden!